Below is a letter written by Stefanie Collins regarding Andre Thomas, who is pictured to the left before he pulled out his remaining eye and ate it. A few years ago he had pulled out his right eye. He no longer has any eyes. 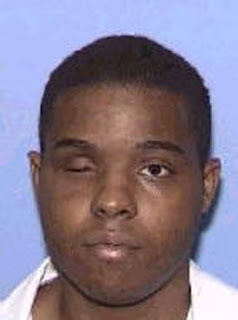 Stefanie Collins is a member of Campaign to End the Death Penalty and a 2008 graduate of the University of Texas at Austin Law School.